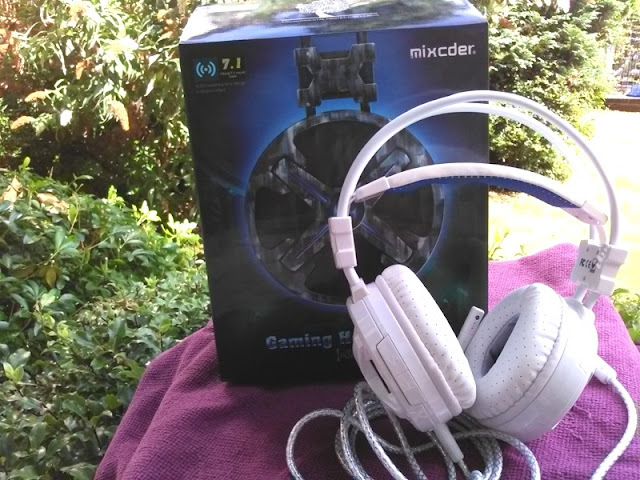 If you currently own a stereo gaming headset and want to step up your game (no pun intended), you want to get yourself a surround sound headset such as the MIXCDER Power to experience the awesome "all around" in game sound! 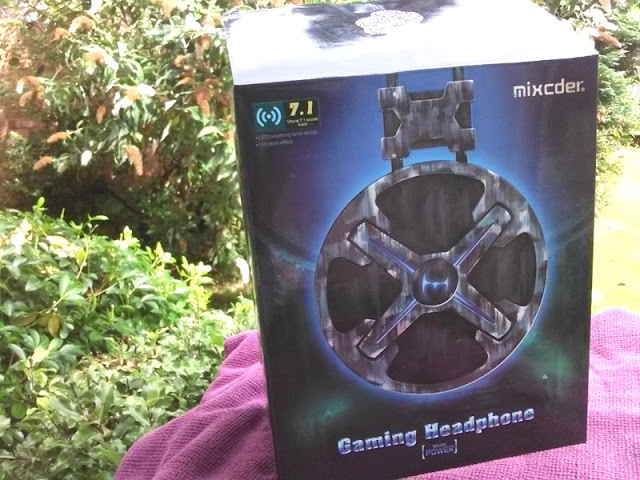 The MIXCDER Power has virtual 7.1 surround sound which allows you to further immerse yourself in the game by hearing sound in front and behind you. 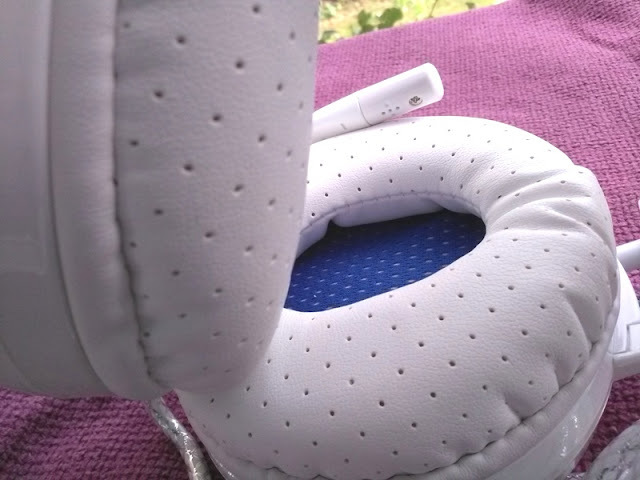 The leatherette over-the-ear cups are comfortable on the ears so you can wear them for hours without feeling any discomfort. 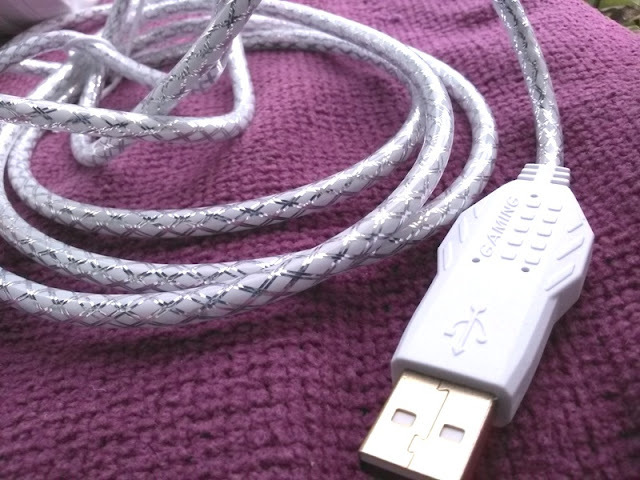 With the MIXCDER Power you also get a pretty long and thick cable (around 2.3 meters long and 5mm thick) with a USB connection great for both PC and video game console gaming. 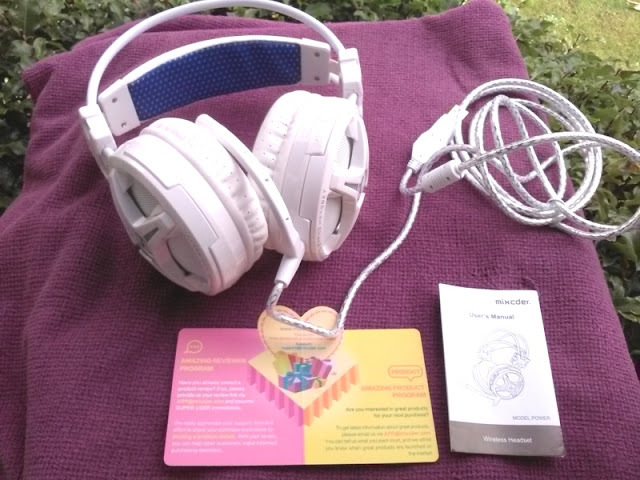 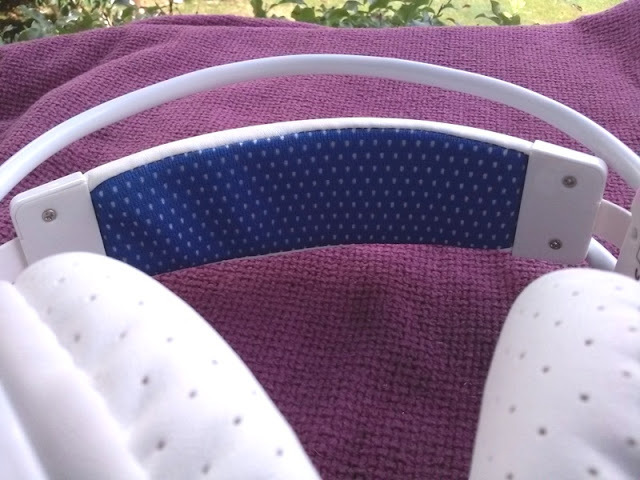 The headband is soft, comfortable and self adjusting on your head, while the headphones are open back with 40mm speaker drivers that produce 32 watts of audio output and 20~20KHz frequency response. 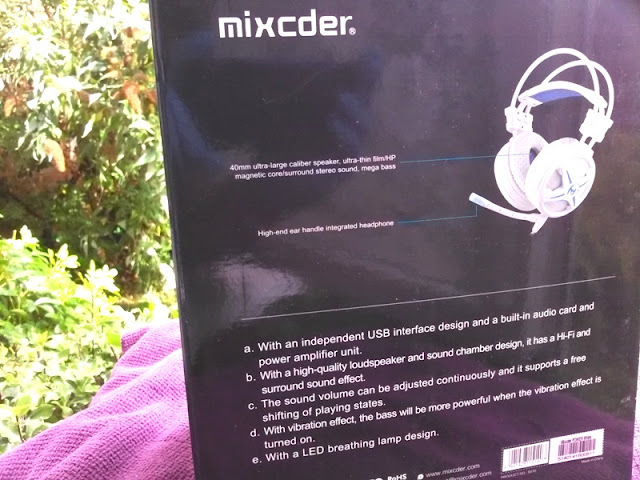 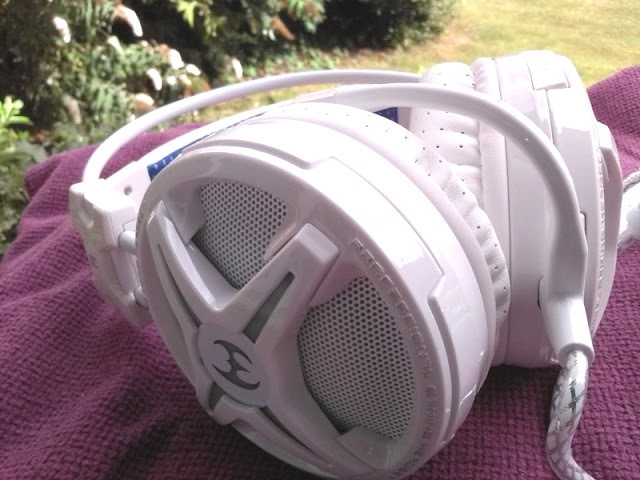 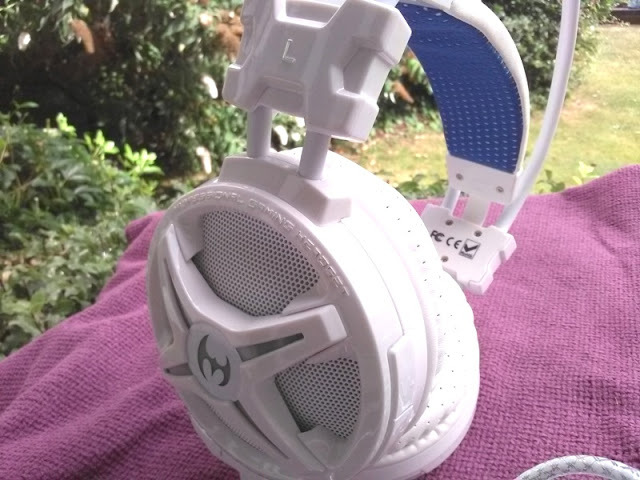 The MIXCDER Power gaming headset also do a good job at blocking background noise. 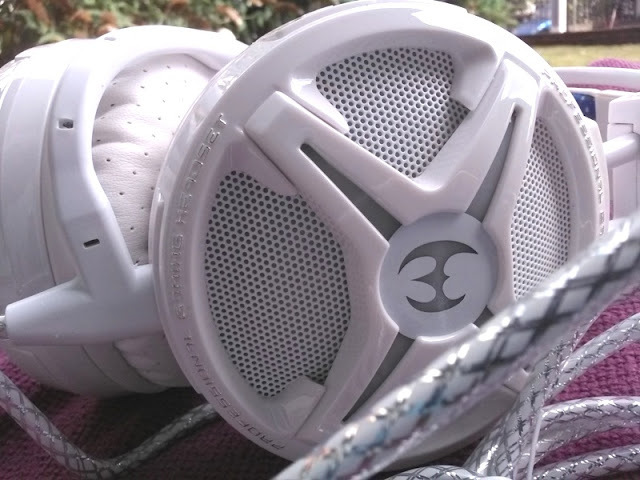 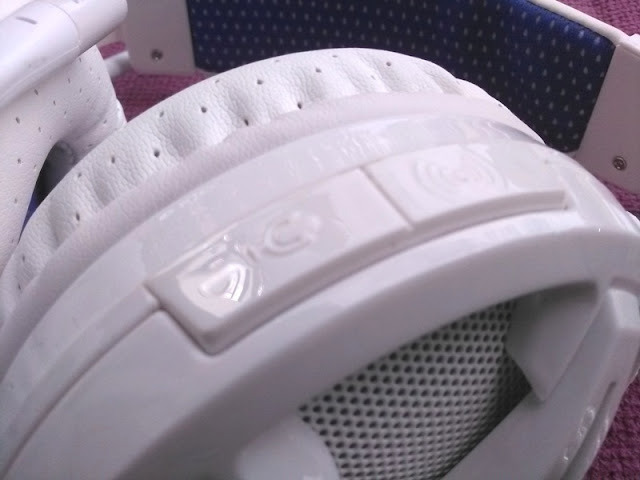 The volume control, mic control and vibration control are conveniently located on both ear cups and they are clearly labeled. 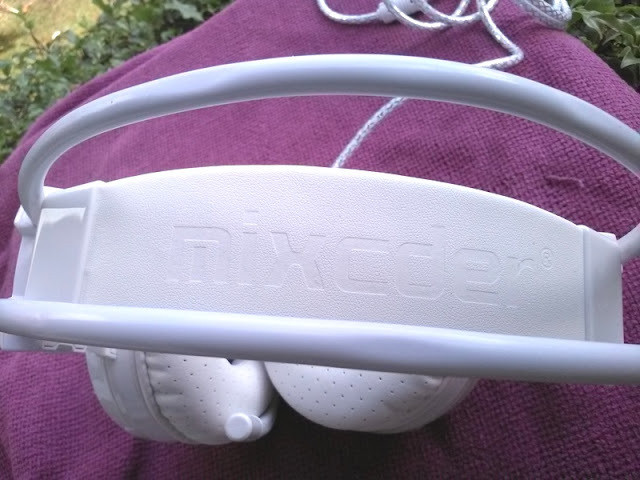 MIXCDER Power USB gaming headset also feature cool LED lighting effect on both sides of the ear cups and the tip of the microphone. 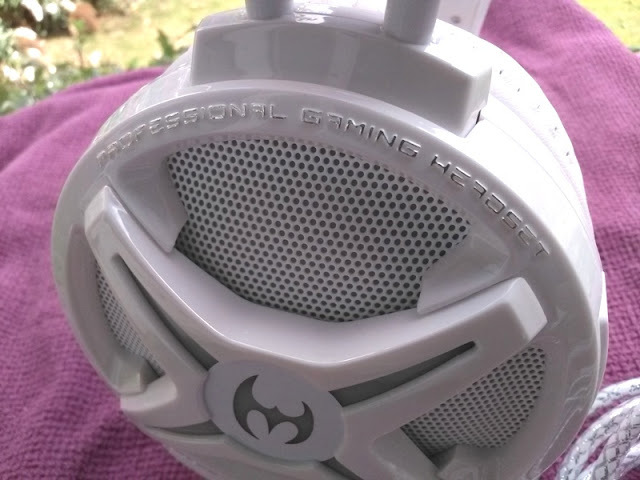 The microphone itself is adjustable too with an Omni-directional pattern.